Helios for Friends of Eclipse! 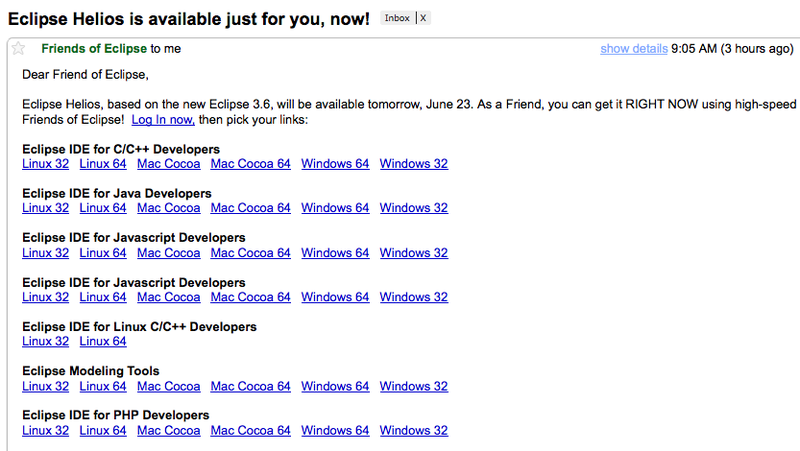 Since I’m a Friend of Eclipse, I was pleased to see this email today! 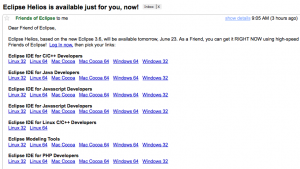 So if you want to grab Helios a day early, why not consider supporting Eclipse by becoming a friend! We are almost at 360 Friends for Helios too! Let’s fill that progress bar!